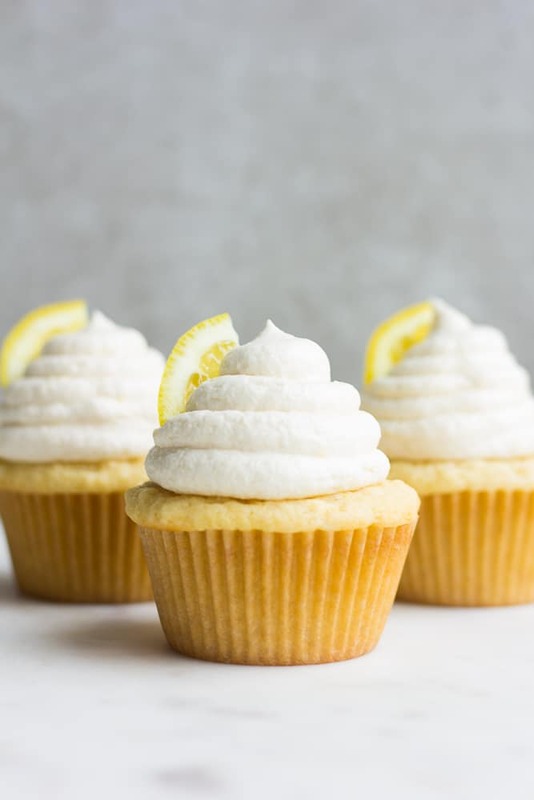 These Vegan Lemon Cupcakes are bursting with flavor! 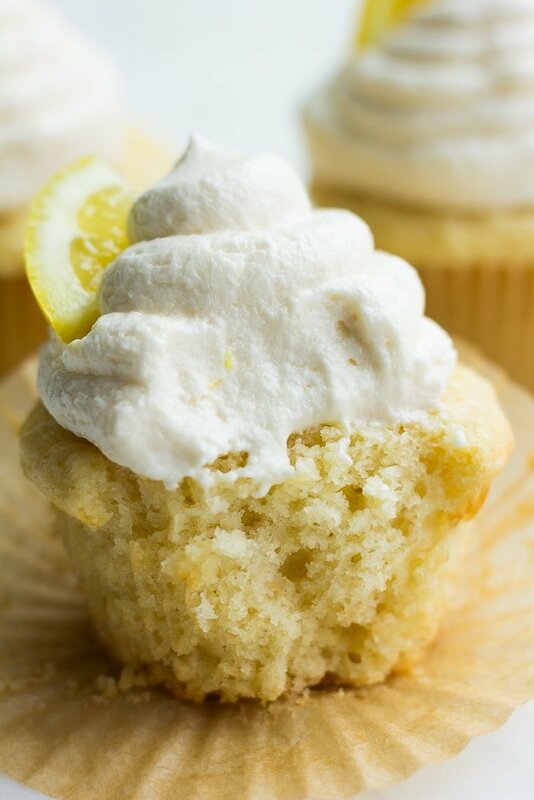 Perfectly soft and moist lemon cupcakes are topped with a vegan lemon buttercream frosting. 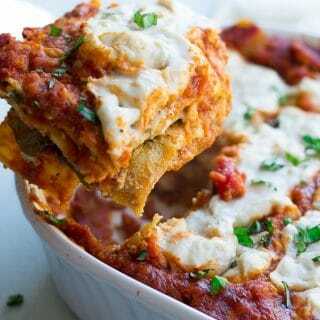 Best of all, they are easy to make in just 1 bowl! Of all the many flavors of dessert out there, lemon has become my absolute favorite. 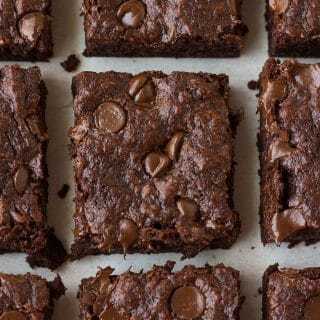 Of course, there are times when nothing but chocolate will satisfy (I’m looking at you Vegan Brownies or Chocolate Cake), but most of the time I would choose a lemony dessert. 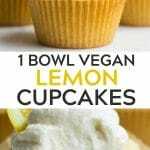 I am so excited to share this recipe for vegan lemon cupcakes with you! Not only are they bursting with sunshine lemon flavor, they are also incredibly EASY to make in just 1 bowl. 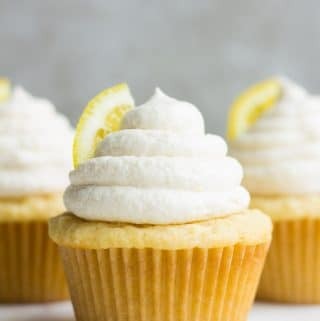 They have just the right amount of “tang” for a lemon cupcake, and are perfectly sweet and moist. This recipe makes about 18 cupcakes, so feel free to cut the ingredients in half or double if you’re planning a party! 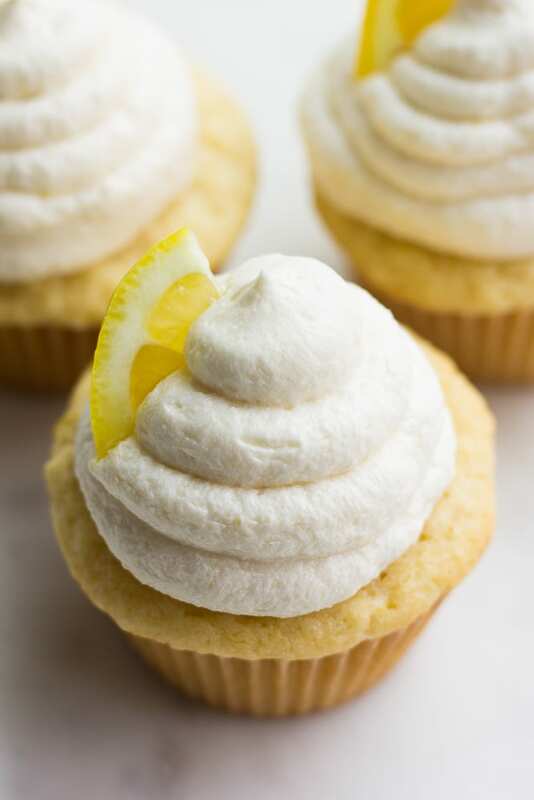 What provides the lemon flavor for vegan lemon cupcakes? 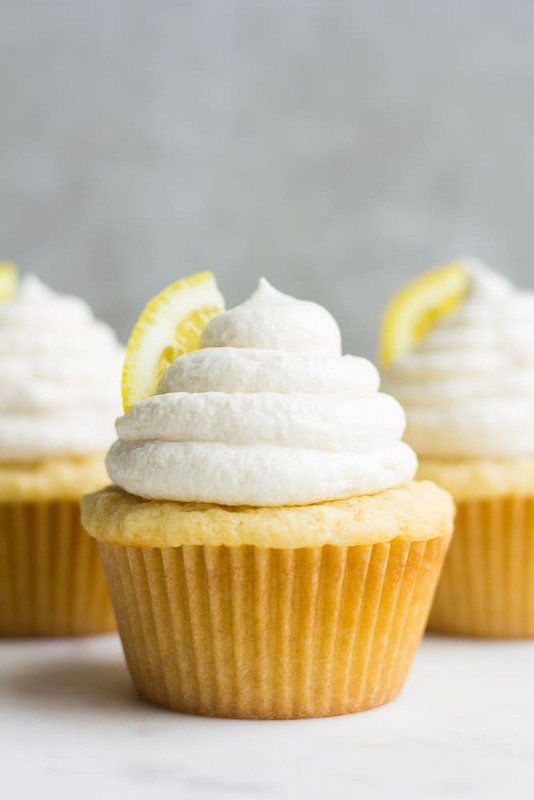 A few things contribute to the lemony-ness of these cupcakes. First, freshly grated lemon zest. I highly recommend getting an inexpensive but handy Zester/Grater so you can easily have fresh lemon zest anytime you want without a struggle. Lemon zest is basically finely grated peel of a lemon, and it adds so much wonderful fresh lemon flavor to food! There is also a bit of lemon extract in the cupcakes, and lemon juice in the frosting, as well as more zest! Preheat the oven to 350 degrees F and line a standard muffin pan with paper liners. Spray the cups lightly with oil to help the cupcakes come out easily. In a measuring cup, combine the soy milk and apple cider vinegar. Let sit a few minutes until it curdles (this is your vegan buttermilk). In a large mixing bowl, beat the softened vegan butter and sugar with a hand mixer (or stand mixer) until light and fluffy, about 1-2 minutes. Add the lemon zest, lemon extract and vanilla and beat to combine. With the mixer on low speed, add in the soy milk/vinegar mixture and mix for 30 seconds. Now add the flour, then sprinkle the baking powder and salt on top of the flour. Mix on low speed until well combined, scraping the sides as needed with a spatula. Fill the liners 3/4 full and bake for 20-24 minutes, until a toothpick inserted comes out clean and they are lightly golden on top. Let them cool completely before frosting. Wipe out the bowl you used for the cupcakes and rinse the beaters from your mixer. Beat the vegan butter until light and fluffy, about 2 minutes. Add in 2 cups of the powdered sugar, lemon juice, lemon zest and vanilla. Beat on low, then switch to medium speed and beat until light and fluffy, about 2 minutes. Now add in the remaining 2 cups of powered sugar and mix. 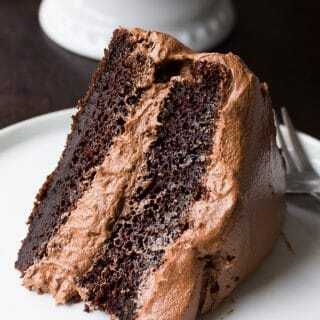 If the frosting seems too thick, add a tablespoon at a time of soy milk. If the frosting gets too thin, add a little more powdered sugar until a spreadable, thick frosting consistency is reached. Pipe frosting onto cooled cupcakes or simply spread it on with a butter knife. May substitute almond, coconut or hemp milk for the soy if desired. 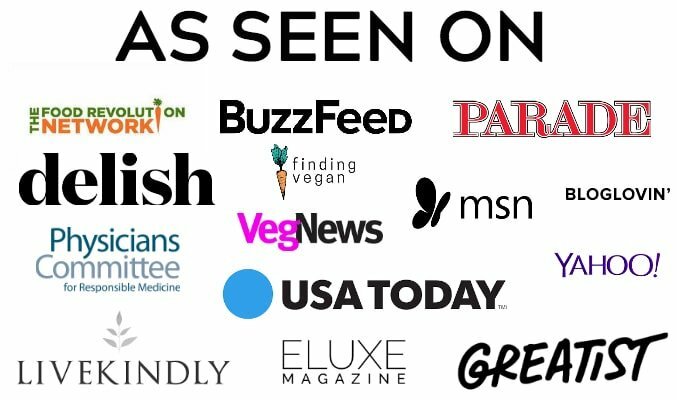 I think soy milk makes the best vegan buttermilk though. For the cupcakes, softened coconut oil could be substituted for the vegan butter, but it won't work in the frosting. You really need vegan butter for the buttercream frosting. May also be frosted with my Vegan Cream Cheese Frosting if desired. Calories are an estimate only. 330 calories approximately per cupcake (if you make 18 cupcakes total).